Once you start to see the drains in your home slowing to drain or clogging more often, you need to know that this could be telling you that there is something wrong with your sewer pipe. If you want to have it looked at, our professional staff at Schleg Valley Construction can come by to do a full assessment and we can also provide you with dependable sewer pipe repair in Island County. No homeowner wants to have an issue with their sewer pipe, but you could be dealing with root infiltration that is turning into a major blockage. Whenever there is a slight fracture or break in the sewer line, roots tend to be drawn to the moisture that escapes. Once roots make their way in, they will grow and proceed to clog the line until nothing is able to pass through. In some instances, the roots can cause a total rupture of the pipe that will need to be replaced. Nobody wants to hear that they have a potential sewage backup that is developing. If you notice that you have foul smells coming from your drains or there are wastewater and debris backing up, you do have a problem with the pipe that will have to be repaired sooner than later. Even if you are as careful as possible with the matter that goes down your drains, things like hair and grease can begin to build up and lead to a clog. Because the sewer pipe is down within the area beneath your home and the ground, you need to have trained technicians on the job who can get to the heart of the problem and repair it in a timely fashion. This is where we come in at Schleg Valley Construction. 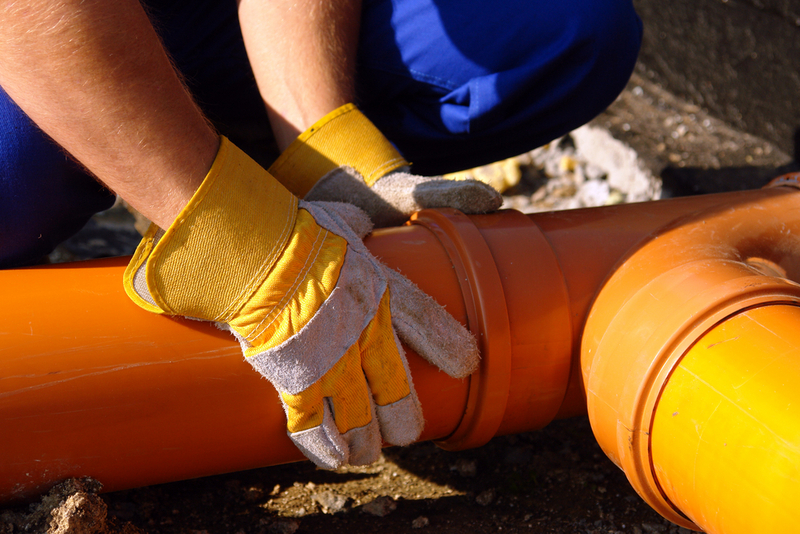 When you need sewer pipe repair in Island County, it is best that you hire the professionals. Call (425) 312-6750 to talk with us at Schleg Valley Construction.